Snails have thousands of teeth which are used for scraping or cutting food. 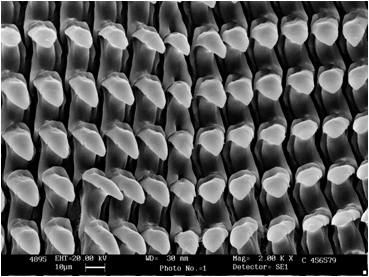 The teeth are arranged in rows on a chitinous ribbon and together form the radula. 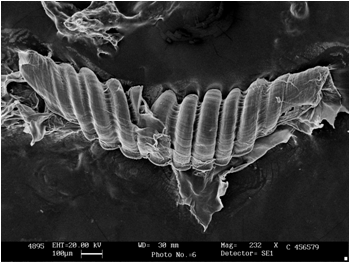 A typical radula may have 120 rows of 100 teeth i.e. 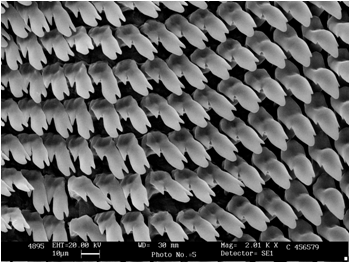 around 12 000 teeth, though some species may have more than 20 000 teeth. The arrangement and shape of teeth varies from family to family.